The term HC model of Dr. S. * appears occasionally on the internet as the beginning of a scientific review. It refers to a number of NGOs in rural areas in Pakistan, Cameroon, Columbia, for which the terms "experiment" or "project" actually do not describe the situation correctly. The definitions of experiment (methodically applied to the empirical extraction of information) and the project (goal-oriented, one-time project) are derived from the western, urban point of view. The HC model is holistic and heuristic, flexible and independent, thus completely against the mainstream thinking! What started in the early 1990s had only the aim of showing that the usual form of aid in NGOs can also be handled in a different way, namely, with nothing, i.e. no organizational or financial help from outside! This means independence in the process! Even if there are fundamental differences between NGOs (non-governmental organizations) and RO (governmental organizations) and Pvt. Ltds (business enterprises), the holistic approach of HC model is more than worth considering because growth, jobs, protection of the environment and resources is here decisive and an integral part. 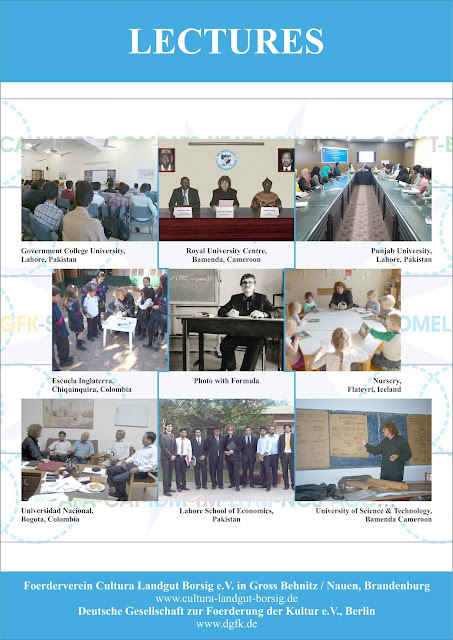 Holistic is to be understood as an entirety approach, in which in the beginning the HC model was artisan based but even then contained parts of up to 16 sub-areas, which were processed like a classic NGO, which means that it developed gradually according to the possibilities and necessities without the usual procedure with calculation of budget and other financial plans. In NGOs, manpower must be handled according to the given situation integrating whatever is possible in the context of an NGO without harming the traditional social sphere. Aspects of the HC model * are sketched in different contributions (SPARC, SPATH, SPAET, SPOCA, SUTOL, SEMOL, etc). Thatta Ghulamka Dhiroka is a remarkable village in rural Pakistan. A large number of volunteers from Western countries have visited and coached the village people in a help to self help project for over quarter century. Dolls and tin toys reflecting regional cultures of Pakistan are village products which generate cash income for the farming families through the local cooperative like NGO. At the same time, volunteers from Western countries are also having fun by working creatively in a remote village with strong overlays by the traditional culture of Indus Valley (Harappa 3.000 B.C. ), the Mogul period, influences from the colonial British-India and the Punjab country culture. Hence the playfulness of a "toy village" is on both sides: for the villagers by manufacturing hand-craft toys for cash in a not-yet industrialized region avoiding rural exodus to the big cites (poverty slums that are generated in cities by migration). And on the other side one can notice the joy of Western volunteers being confronted at work by their own history framework but in present time and with a very foreign and sometimes strange context. 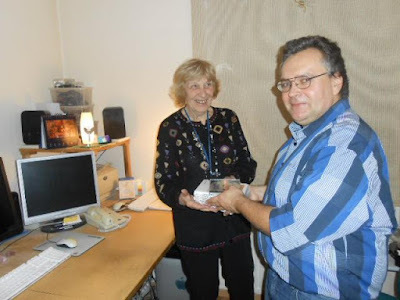 Here readers can see Director and Producer Dr Joachim Polzer, Potsdam (moviemaker of Amjads Village - 1991 and Thatta Kedona – 2005) is handing over material to Dr Senta Siller. Remember, the movie Thatta Kedona - Polzer Media Group GmbH & Globians Media Project - was shown on Globians Documentary Festival 2005 in the City Hall of Potsdam. 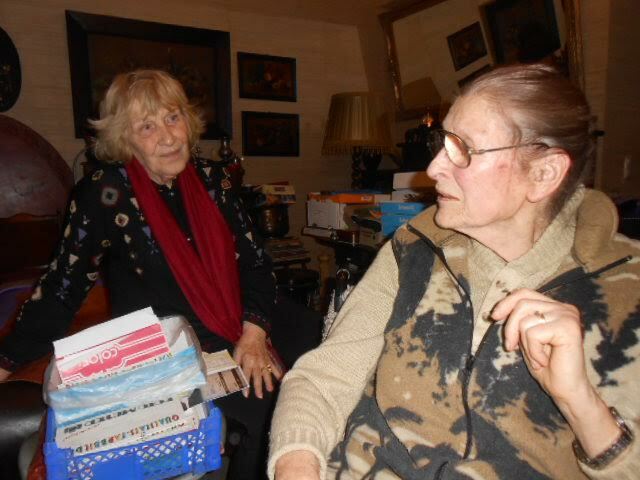 In another image here, Renate Borowka, Soltau, a photographer from Village Life 1994 who held a special photography exhibition in 1995 in the Broadcasting and Telvison Centre in Cologne, Voice of Germany is seen discussing her past experiences with Dr Senta Senta Siller. The photographs now make a unique part of Amjad Village Project.